The ancient route that in medieval times connected Canterbury to Rome and to the harbors of Apulia has been discovered by modern pelegrin, who set off on a fantastic route. Our Tour offers the opportunity to discover the Via Francigena route from Siena to Rome by bicycle, crossing the region of Tuscany and Lazio on secondary road and gravel road. 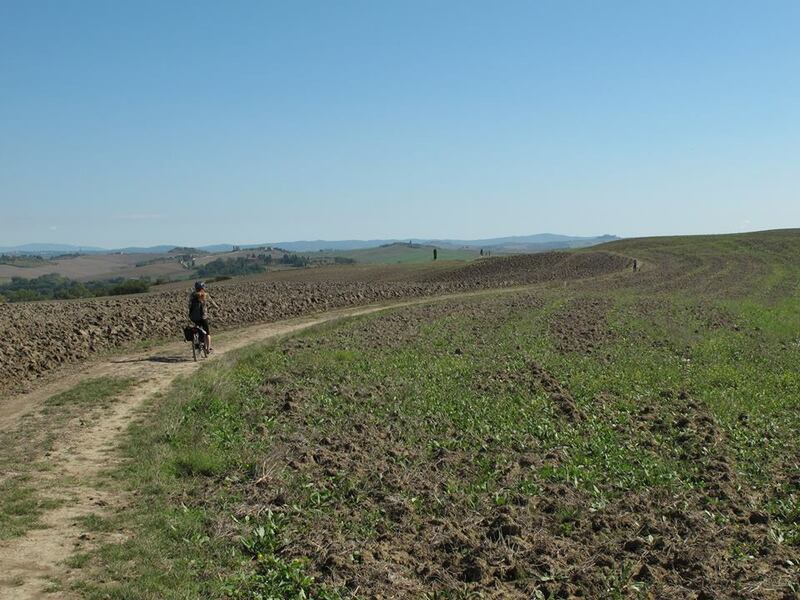 The Via Francigena passes through the Val d’Orcia, Viterbo, the lake of Bolsena and the “Tuscia”, before arriving to Rome. You’ have the chance to visit charming medieval villages riding among breathtaking panoramas! The visit of the beautiful city of Rome complete this beautiful bike experience. We work in collaboration with Ride Tuscany of Anima Toscana for organization and technical support. Meeting point with our staff to the train station of Siena and private transportation to Hotel Athena, briefing and dinner in typical restaurant of the city center. You can also decide to join the hotel on your own. First stage surrounded by beautiful view. 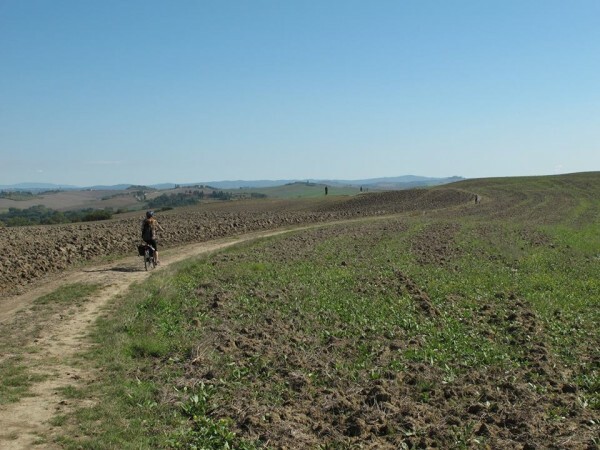 In the first part of the stage you will ride the typical hills of Val d’Arbia. 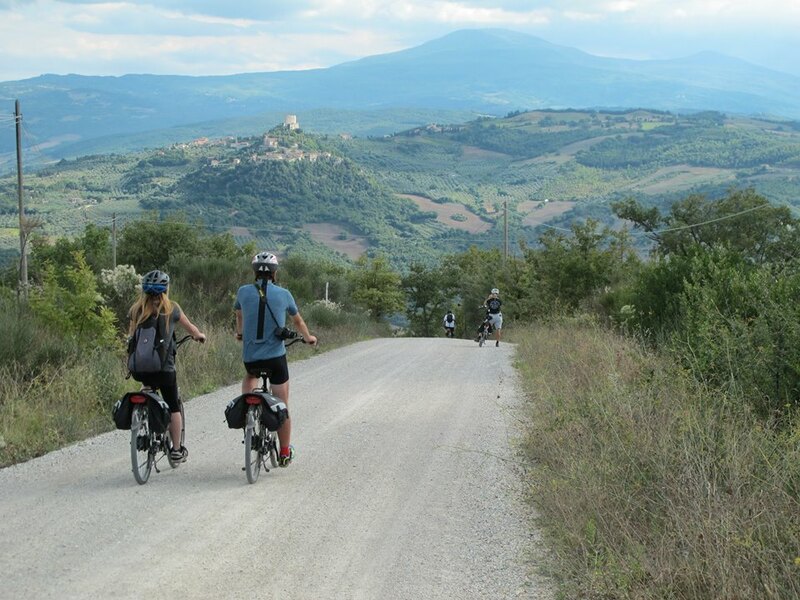 The route cross the permanent route of L’Eroica to Buonconvento, very nice medieval village. End of the stage in Val d’Orcia, UNESCO protected site. 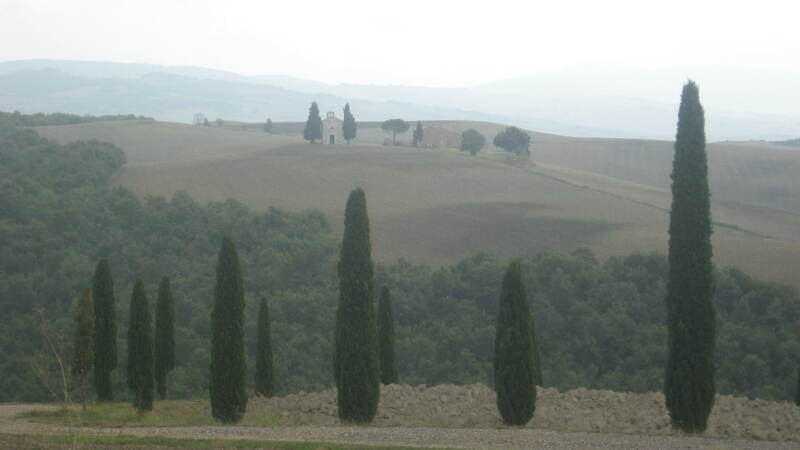 A diversion to the normal route will lead you to Pienza, renaissance town, also famous for its Pecorino cheese. Dinner in Tuscan restaurant and accommodation at Hotel Residence and SPA Casanova. 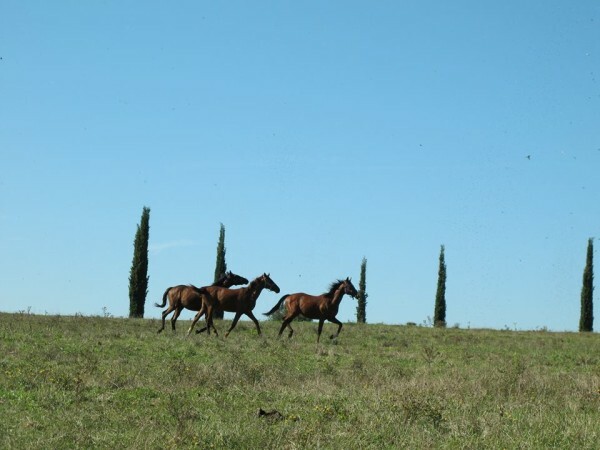 The landscape of Val d’Orcia, riding through the thermal medieval village of Bagno Vignoni. Pedaling on the Paglia’s valley following the old Cassia road. Contignano, beautiful town on the top of the hill where you can admire fantastic view on the Val d’Orcia. Acquapendente before to arrive at the Lake of Bolsena, end of the stage. Dinner and accommodation at Agriturismo Le vigne, farmhouse with an incredible view on the lake Bolsena. Along hilly routes, with beautiful view on Montefiascone, you will join Viterbo and its beautiful city center. The town of Vetralla and Capranica. End of the stage at Sutri, town of Etruscan origin where you can’t miss the visit of its amphitheater and the Church of the Madonna del Parto. Dinner and accommodation at Borgo di Sutri. Monterosi and the Monte Gelato waterfalls, a natural area for a little relax before to arrive at Campagnano di Roma. The Parco di Veio and the Tevere bicycle path before the final arrival to Rome. 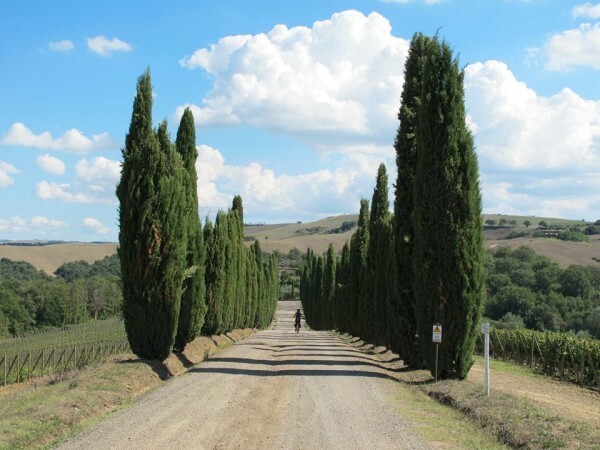 The alternative route will lead you on the river of Lake of Bracciano before arriving at Campagnano di Roma. Dinner on your own in Rome and accommodation in 4 stars hotel located very close Piazza di Spagna. Check-out and individual departures, otherwise you can add more days to your stay and visit this beautiful city.